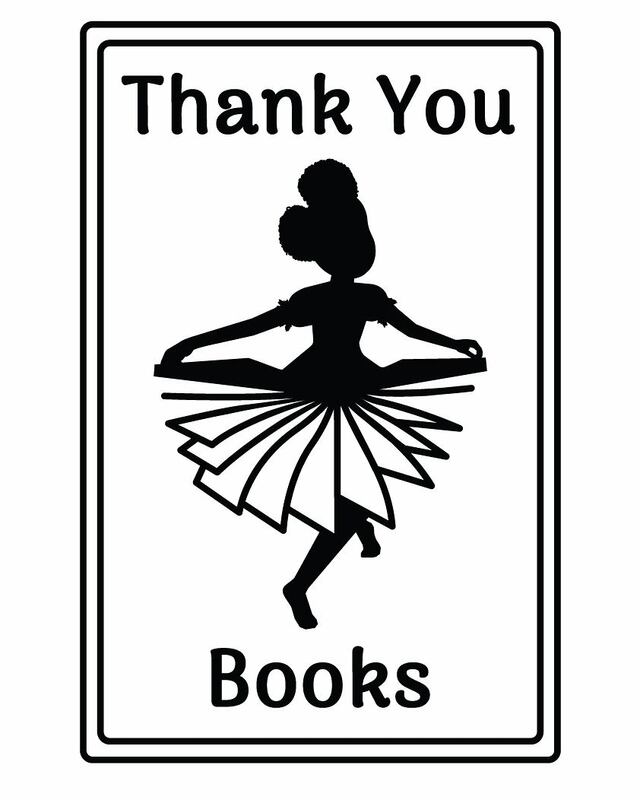 This is the logo for my self-publishing company, Thank You Books. My name is a derivative of the gratitude concept in the Sesotho/Setswana/Sepedi language group (lebohang, relebogile, olebogeng, etcetera). I feel a deep gratitude for the life I have and continue to create; from school life to poetry life to freelance shooting-my-shot life and books have essentially given that to me. 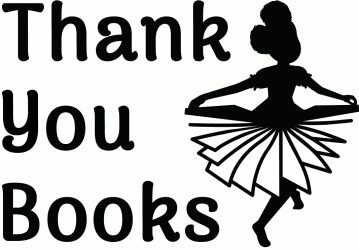 I am thankful to every writer who has written something (both inside & outside books) that has illuminated my path and has changed my life. And, I am immensely grateful to my mama and the box set of Poldy books that have been a force throughout my whole childhood. The icon consists of a ballet/book skirt because I feel that it’s important to pay homage to 14 years of rigorous classical and contemporary dance training because of how they have made me who I am. I am thrilled for this new chapter and all of the beautiful stories that I am going to put into the world. 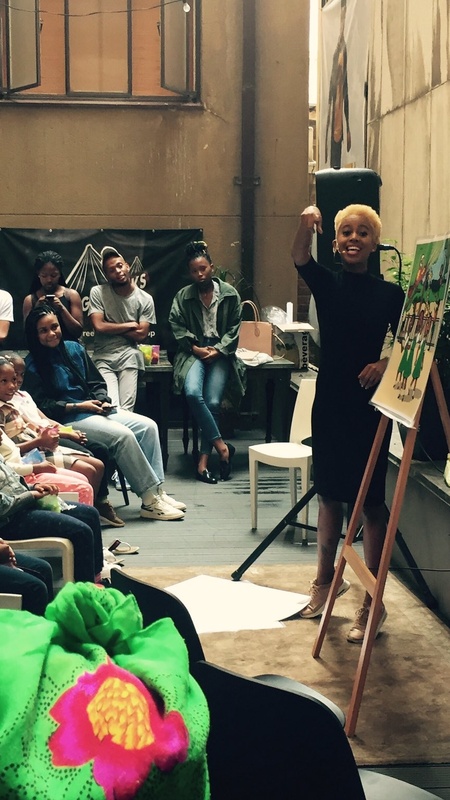 Designers: Masego Morulane (illustrator of my dreams too) and Sibusiso Mkhwanazi. Thank you to my friends, who always help me to make up my mind. I’m in June’s edition of Destiny Magazine! In this month’s edition of Destiny Magazine, you can peruse a selection of stunning statement fashion accessories for Autumn/Winter 2017 (including the most gorgeous golden Dolce & Gabbana earrings that I have ever!) 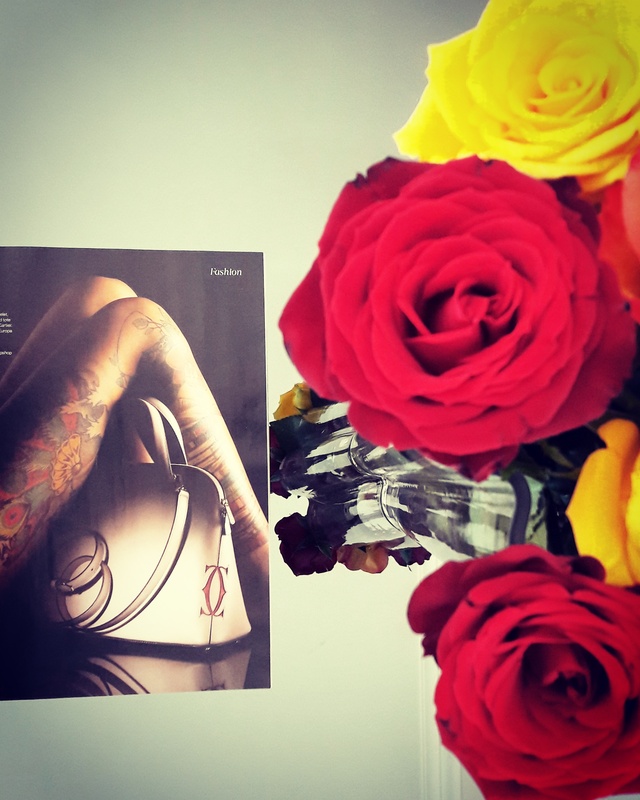 alongside the elaborate art work on my beautiful, lithe brown body. Representation truly means a lot to me. It is always a big deal when a mainstream brand like Destiny Magazine (or Jet Store) ask me to swap my perenially stressed Anthropologist life for a few hours of modelling and fun. I’m grateful that I get to showcase my body modifications on a national platform and challenge people’s archaic stereotypes. 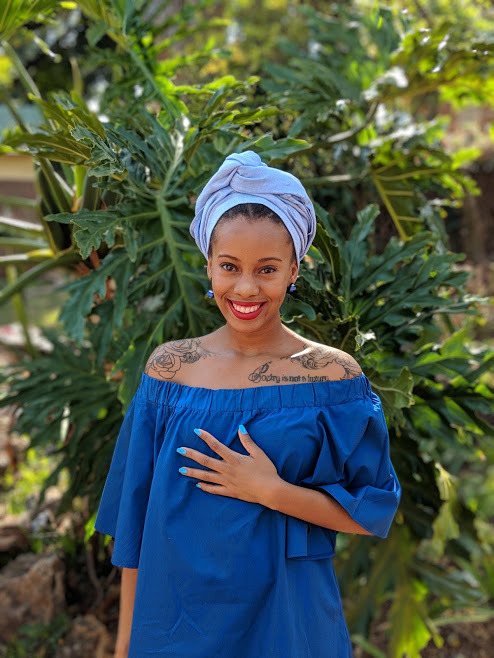 There are still so many misconceptions about tattoos in this country, especially when black women have them, and I am glad to be able to do my part to normalise these beautiful additions to our skin. I want us to all be able to really enjoy our agency free from harrassment and patriarchy’s fury that we dare to do what we want with our bodies. I would like for it to be crystal clear that we are neither promiscuous nor deviant – what we are, is cute as hell. Okay?! P.S – It’s the one with Bonang on the cover. Thank you, Mpumi Sinxoto and the Destiny Magazine team! I can finally reveal that my pledge for #TODAY is children’s storytelling! I have always wanted to venture into this part of writing because I hold such a deep reverence for it. I was just always too anxious about it but then Standard Bank came along and pretty much dared me to choose just ONE thing that I have always yearned for yet always put off until another day. So, in true “why not make one day today?” fashion, I decided to try my best to make my dream happen. So, I’ve been hard at work putting together a story and I am very excited to present it to its intended audience – your gorgeous children! As I have mentioned, children’s stories hold a very special place in my heart because they were my entry into the world of reading and my love for books. My children’s story collection as an adult has been growing since I feel especially giddy that we live in a time when books have become more diverse and representative of the little boys and girls all around us. I grew up on The Adventures of Poldy by Felicia Law, an incredible box set that my mom bought for me when we lived in Sweden, about a scarecrow and his friends: a crow, a seagull and a wagtail. It exposed me to childhood learning concepts and different cultures around the world and perhaps it’s also responsible for my love for Anthropology? One of my biggest inspirations for this particular project, however, is Atinuke. I love that woman so much (and I will meet her one day)! The feeling I get when I read Anna Hibiscus is a feeling I would love for others to experience through my work and I am prepared to work at this craft in order to ensure that I get as close as possible to that kind of magic. 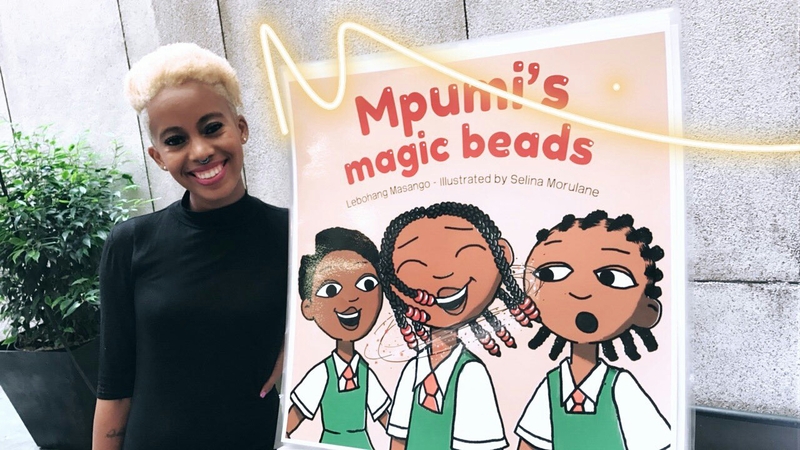 So, please join me on Tuesday afternoon at Bridge Books for a storytime session in which I’ll be presenting my debut children’s story, Mpumi’s Magic Beads and sharing another one of my favourite children’s stories. Please bring your little ones? The story is aimed at children from 4 – 10 years old but really, you’re all welcome. The event is free and public schools are on holiday so see you then! Here’s the Facebook invitation. 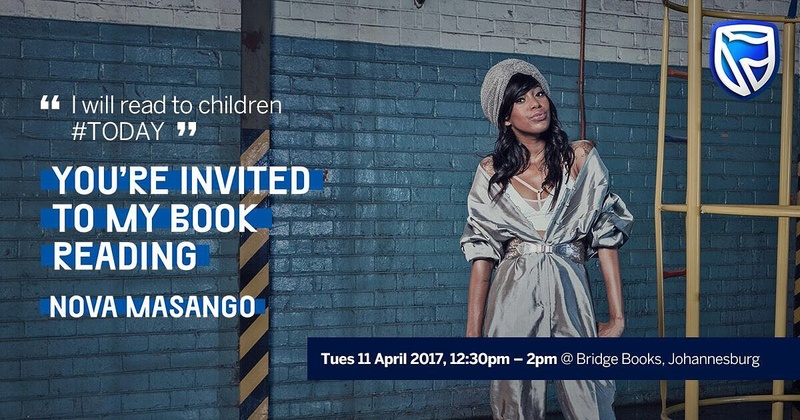 Thank you to Standard Bank and the various creative agencies that gave me the best dare I’ve ever had the pleasure to complete. I’m so happy that it is taking shape! 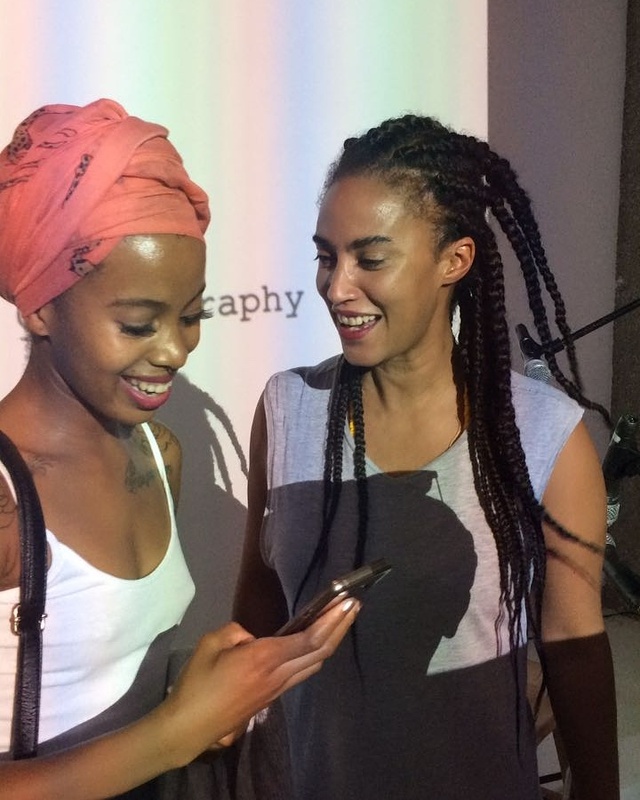 I Met Professor Grada Kilomba. Wow. Thank you for taking this, Selae! 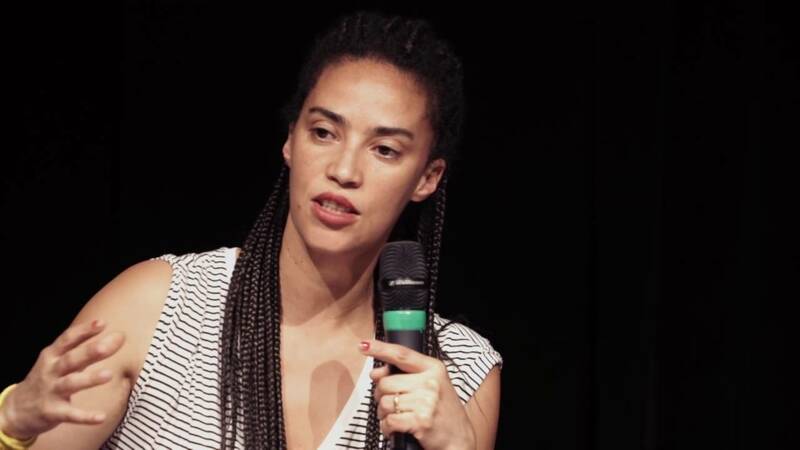 I Want To Be You When I Grow Up, Professor Grada Kilomba. Which is to say, she’s the most phenomenal sight that I have ever seen with my two eyes. I still think of that night in spiritual terms. Someone beyond sky and time; someone who loves me gifted me this experience. Friday night and I’m all alone (as usual) and I was running late. I was cold as all misery. I’d received invitations to several parties and declined, despite the fact that the week was long and I deserved ease. I hadn’t been able to make it to the Decolonising Feminism Conference that had been held during the week but this was one of the last sessions titled, “Decolonising Knowledge: A Performance Lecture”. Just for those two last words, I had to be there. I tell you, interdisciplinarity consumes my thoughts. I obsess about how I want my academic and artistic vantages to intersect. When I spend a lot of time shifting between this Economic Anthropology text and that proposal on love and intimacy and that seminar that requires zooming through Haiti and Hegel and universal history books – the spirit stops to ask for poetry. Finding the balance between a worldview that demands unrelenting analysis and one that begs for stillness, softness and an economy of language induces much anxiety and the heartbreaking sacrifice of one. It’s urgent that I grow the space in my mind where the union of poetry and Anthropology is natural, in a way that is organic for me. It’s the stuff that my daydreaming is made of. I’m a gif! Made by Nomali Cele. The year started off with Jet Store’s #JetLoveYourself body positive Valentine’s campaign! 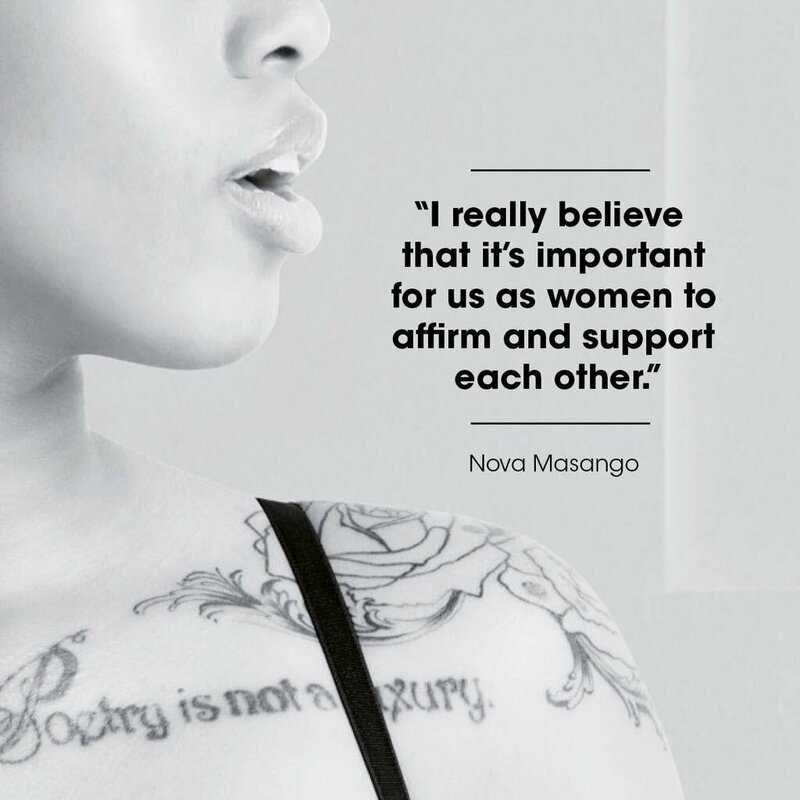 I joined some awesome South African women – who are also not models – in wearing beautiful underwear and confidently celebrating our bodies in their different sizes and shapes. Take Control of Just One Thing: From 2016 into 2017. 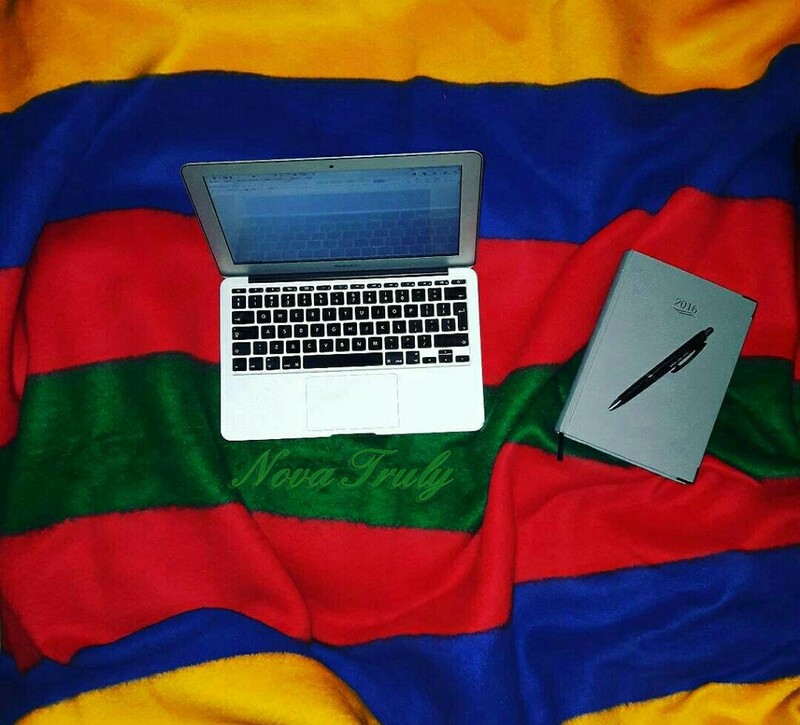 I often sit and work on umbhalo: the Ndebele blanket my grandmother’s friend gave her to gift to me, because she had given one to her friend to gift to her granddaughter too.